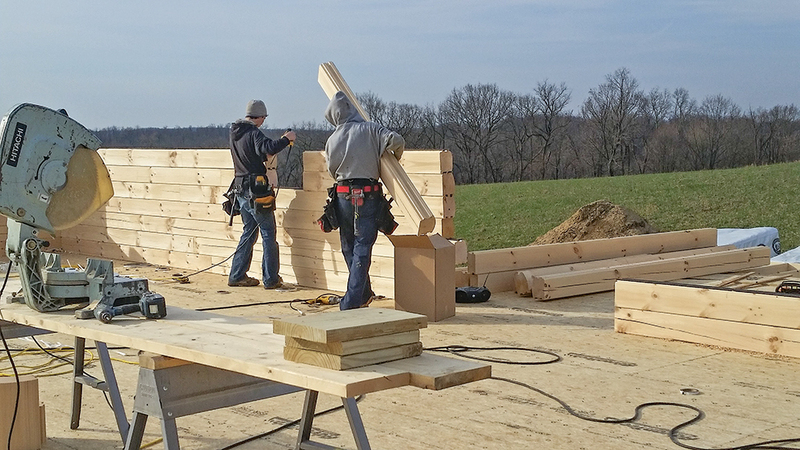 One of the most crucial decisions you will make in your log home journey is choosing the right log home builder. Since I’m in the construction business myself, this isn’t a decision my wife Becky and I took lightly. Ultimately, we chose to follow the lead of our log home provider, Hochstetler Milling, by going with their “preferred builder.” A preferred builder is one that meets all of the standards set forth by the log supplier, is well-versed in their building specifications and has a good track record with them. Raymar Log Homes is Hochstetler’s preferred builder in our area. We met with the owners, Owen Miller and Sam Yoder, and reviewed their proposal and pricing. After a little negotiating, an agreement was made to meet our budget. While reviewing our blueprints, Sam had several suggestions of ways to make the installation go smoother (recommendations to improve the design/build experience is a happy side benefit of going with a manufacturer’s preferred builder, as they know the product and the process well). We were very comfortable using Raymar Log Homes and appreciated their feedback. In fact, not only did we develop a business relationship, but also a personal relationship with the crew. This approach may not be right for everyone, as some people prefer to keep the relationship purely on a professional level; however, for Becky and me, getting to know our builders would make the whole construction process more productive and fun. 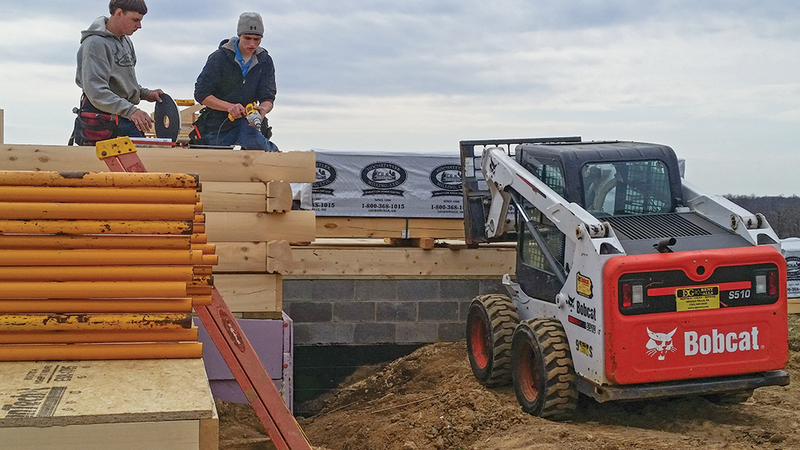 Whether you opt fora preferred builder or find one on your own, here are our tips to help you hire the right builder for you. Get a minimum of three references and visit at least one home the builder has built — ideally one that’s at least three years old, as this will be a testament to how the builder’s work has stood up to the test of time, including log settlement. Ask these former customers if the job was done in a timely manner, if the builder was a good communicator and how he/she handled any issues that occurred. Ask the references if they had differences with the builder. If so, how were they resolved? Did the builder listen and at least come their way partially? If problems arose, did the builder blame the supplier or address them personally? Did they badmouth their competition, make negative comments about the blueprints, etc.? Most importantly, were they honest? Do they return calls promptly? Were the estimates on time and clearly spelled out, leaving no doubt as to what is or is not included? Does the builder carry liability insurance? (This is vital to protect you and your investment.) Will the builder warranty the work for a year or more? These are all questions that need to be addressed before you decide who you will hire. All in all, there are good builders and bad builders. It’s up to you to find the best pro you can who will work within the scope of your budget. A log home isn’t just one of the most expensive purchases you’ll make in your lifetime, it’s the realization of a dream. Make it a good one. 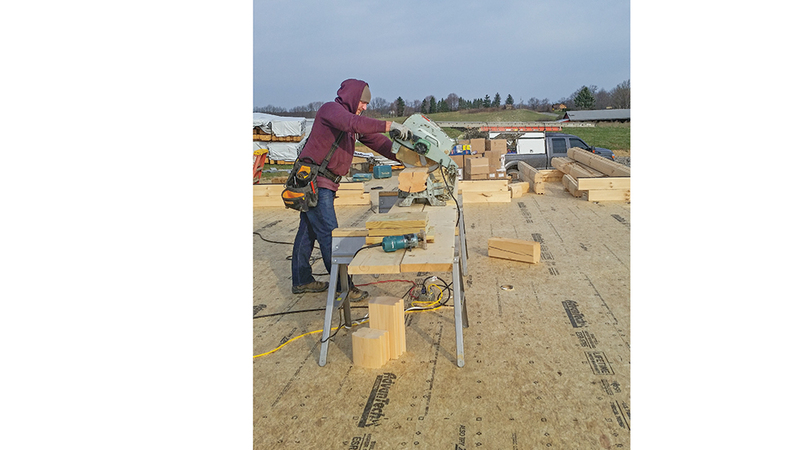 An experienced log home builder will have all the tools he/she needs at the ready and may even offer suggestions to help the entire process go more smoothly. It’s a good idea to hear him/her out. To construct their house, Gary and Becky chose Raymar Log Homes, a “preferred builder” of their log home manufacturer, Hochstetler Milling. “Don’t worry, we’ll take care of it. Do your homework and ask questions! Your money and your safety are in their hands.